YEAH!!!! I finally got my tomatoes in the ground! 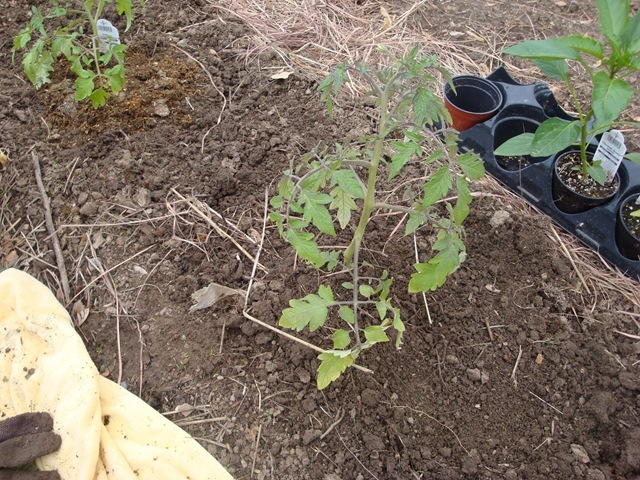 The pictures show the process…the tomato guru who lives down the block from me told me how he plants tomatoes and I did what he said. 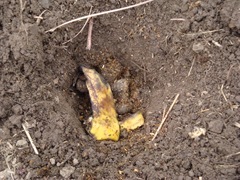 Dig a deep hole, put a handful of old manure in the bottom and a banana peel, place a layer of dirt over that then put in the plant, removing the bottom 2 or 3 leaves and mound the dirt ¼ the way up the stalk. 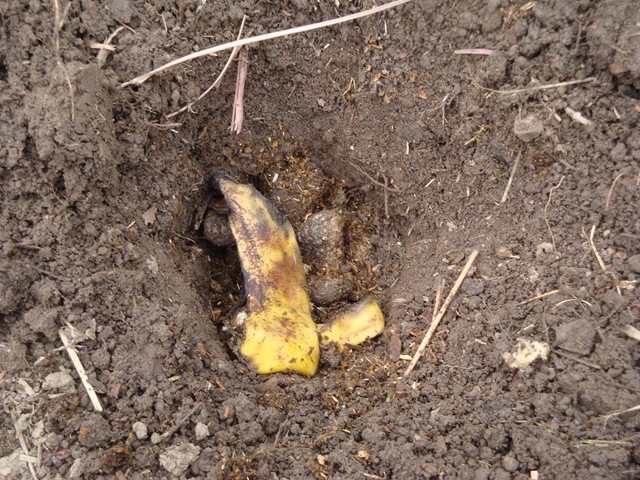 Finally, cover the mound with another handful of manure. 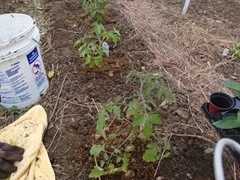 Water them well to set them, and viola, you have a pretty row of tomatoes. It is so nice to finally get them done! Hope it does not hail this weekend! I am still waiting for things to germinate before I plant anything else. 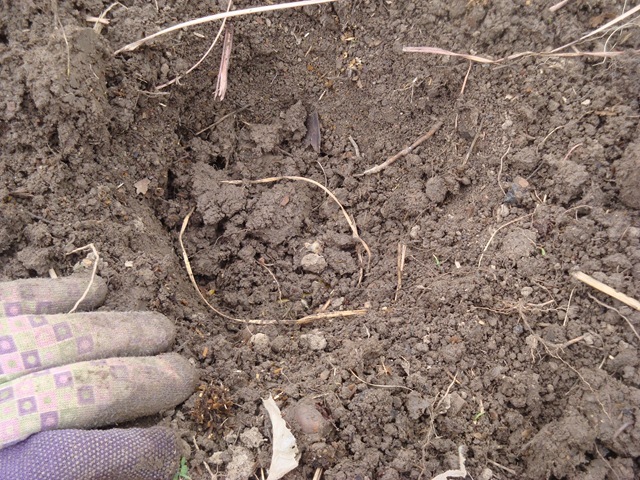 The carrots are just starting to cut through the dirt and the lettuce and chard are the same way. 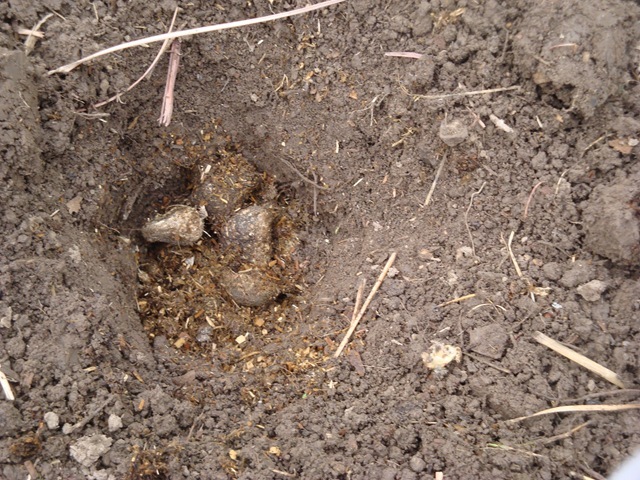 I planted some mustard as a cover crop in places where I have not worked the dirt as well as I would like. The spots are along my fence where I am planting beans later and the mustard is supposed to have long deep roots that help break up the soil. It has a lot of work to do for me!!! The mustard is already coming up. I think I planted the carrots too deep but they are trying so I hope I did not mess them up too much! The peas and spinach are looking real good. Just a few more weeks and I can start planting my other stuff like tomatoes, squash and eggplant. 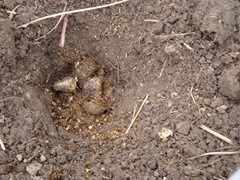 I am going to add more manure to the dirt when I plant the later stuff. 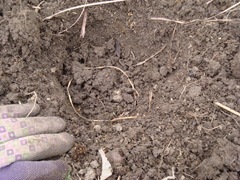 I am also top dressing all the plants that I am planting with compost. 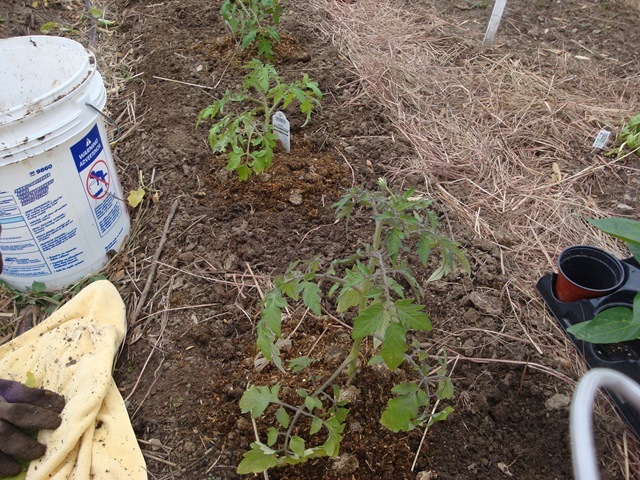 Top dressing is placing compost in top of the soil around the plants after transplanting. Enjoy the spring in your neck of the woods!